If you are local to Jacksonville, Florida you may pick up your order at our Customer Assistance Center. When you are checking out and enter a shipping ZIP code that is within 20 miles, a Hold For Pickup option will appear. Please note that any orders picked up from our Customer Assistance Center may take an extra business day to process. We do not offer gift cards or certificates, however we do have Personalized Stamp Gift Boxes! This box contains one square stamper loaded with a black ink cartridge. There is no personalized stamp die on the stamp! This is how we will send it to you. But found inside the box, there is an instruction sheet printed with a single use, unique voucher code. Get your personalized gift box here. Nearly every order is able to be shipped the business day following your order placement. Nearly every order is able to be shipped the business day following your order placement. The actual delivery time will depend on the method of shipping you choose at checkout. If all products ship next business day, what is the expedited processing option for? Expedited Processing moves your order to the top of our production line! We will make your order and package it up to ship before other orders. Pair this up with an expedited shipping option to receive your order as fast as possible. How do I see what my stamp will look with my information? Proofs can be requested during checkout by using the Comments box. This is located on the last checkout page. Proofs may result in a delay in order processing. Rest assured that we will not produce your stamp until you have given your final approval. Can I order a multi-color stamp? Our dater stamps offer two color combinations. 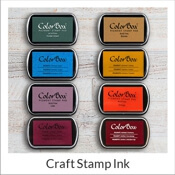 All other stamps are offered in a wide variety of color options. Please ensure you have used entered the code correctly and do not have any spaces before or after the code. Also verify that all conditions have been met, if any, such as specific products or order minimums. If the code still does not work, you may enter the code in the Comments section located on the last checkout page. Our order entry team will issue a refund for the difference. Please note only one coupon code can be used per order. Yes! Please use our Contact form and we'll be happy to honor the coupon. Yes! When ordering the same item, we can offer the following discounts: Qty 25-49 10% off MSRP | Qty 50-99 15% off MSRP | Qty 100-249 20% off MSRP | Qty 250-499 25% off MSRP. Please note that large quantities may take longer to receive materials and produce. The Comments section located on the last checkout page should be used to communicate any firm in-hands date you have. We will try our best to accommodate. 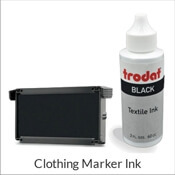 In a self-inking stamp, the ink pad works with the dye to leave an impression, then retracts back into the stamp body. With a pre-inked stamp, the ink is inside of the stamp, so the only time you’ll see your stamp’s ink is when it’s already on your surface. A pre-inked stamp is also a lot quieter than a self-inking stamp, and it comes with a stamp cap so your ink doesn’t dry up over time. Pre-inked stamps are recommended for the best detail and will last much longer before needing to be re-inked. More information can be found on our blog about the benefits of pre-inked stamps. How do I re-ink my self-inking stamp? Flip your stamp over and put it in the locked position. Grab the two tabs on the stamp pad and remove the pad itself. 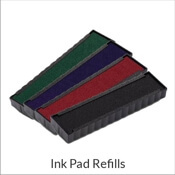 You grab your bottle of ink and put about 3 to 4 drops of ink across the pad. And let that soak in for a few seconds. When the ink has soaked into the pad, and there are no more pools, you can reinsert your pad back into the stamp itself. And push the stamp down and unlock it. And now you have successfully re-inked your stamp. 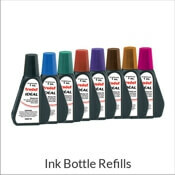 More information can be found in our blog about changing ink pads on self-inking stamps. How do I re-ink my pre-inked stamp? You will then take the Xstamper and remove the cap off the top. In the stamp, there are two portals where we’ll put the ink. So you only need a couple of ink drops in each section. You’ll put the cap back on the stamp. And you’re done! The ink needs to settle for about twenty-four hours for it to fully get through the pad itself. More information can be found in our blog about re-inking pre-inked stamps. What stamp do I use for non-porous or glossy surfaces? A stamp leaves a flat ink impression on paper. An embosser crimps the paper to leave an impression and does not use ink. More information can be found in our blog about ordering an embosser. What are the different types of fonts you offer and how do they look? Our fonts can be found on any ordering page that has a drop down menu with font styles. WARNING: Some of our products may be customized with inks and other chemicals that are known to the State of California to cause cancer and birth defects or other reproductive harm. For more information go to www.P65Warnings.ca.gov.